Hi friends! 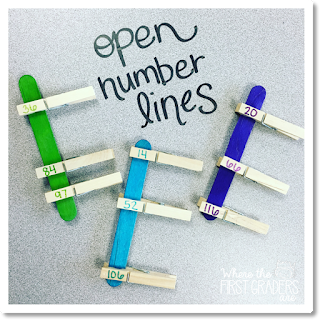 I don't know what it is about popsicle sticks, but my students go CRAZY for them! They love having activities that they can get their hands on and is a little different than your typical math station. 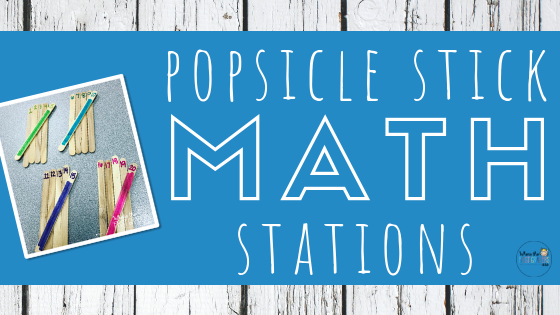 Here are a few of my favorite ways to use popsicle sticks as math stations! Step 1: Give students one popsicle stick and three numbers written on clothes pins. 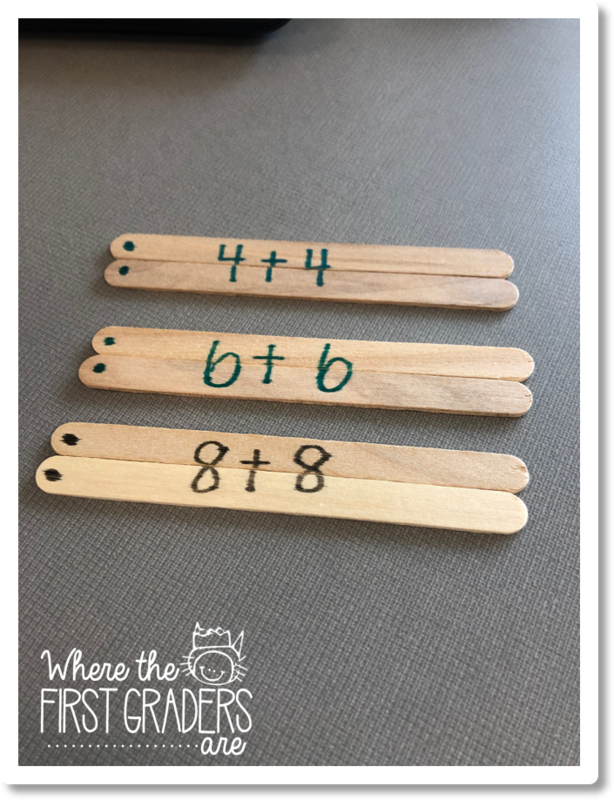 Step 2: Students place the smallest numbers at the top of the popsicle stick and the bigger numbers towards the bottom. 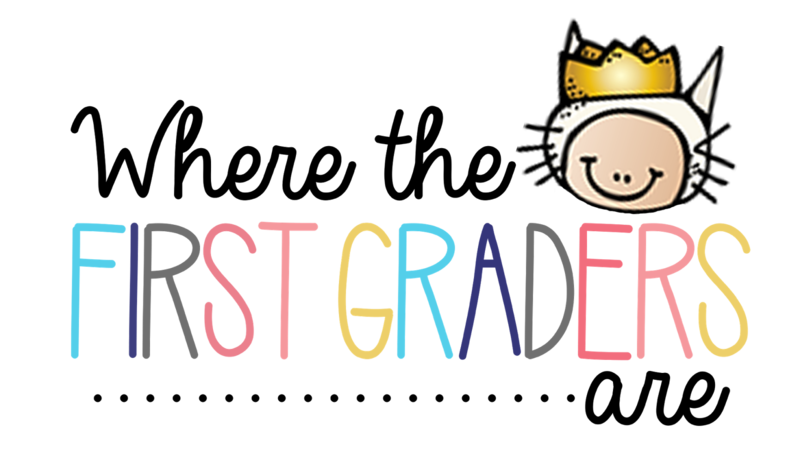 Step 3: Once students have the numbers in order, you can then start talking to them about spacing the numbers appropriately. Want to make a self-check option? Write the numbers in the correct order with the correct spacing on the back of the popsicle stick! 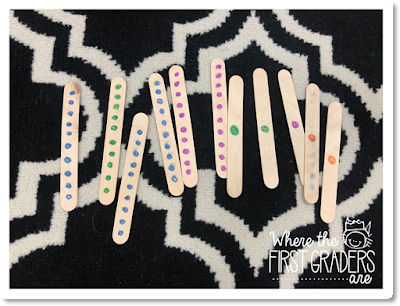 Step 1: Give students a set of ten popsicle sticks with ten dots draw on one side of each popsicle stick and one dot drawn on the other side of each popsicle stick. 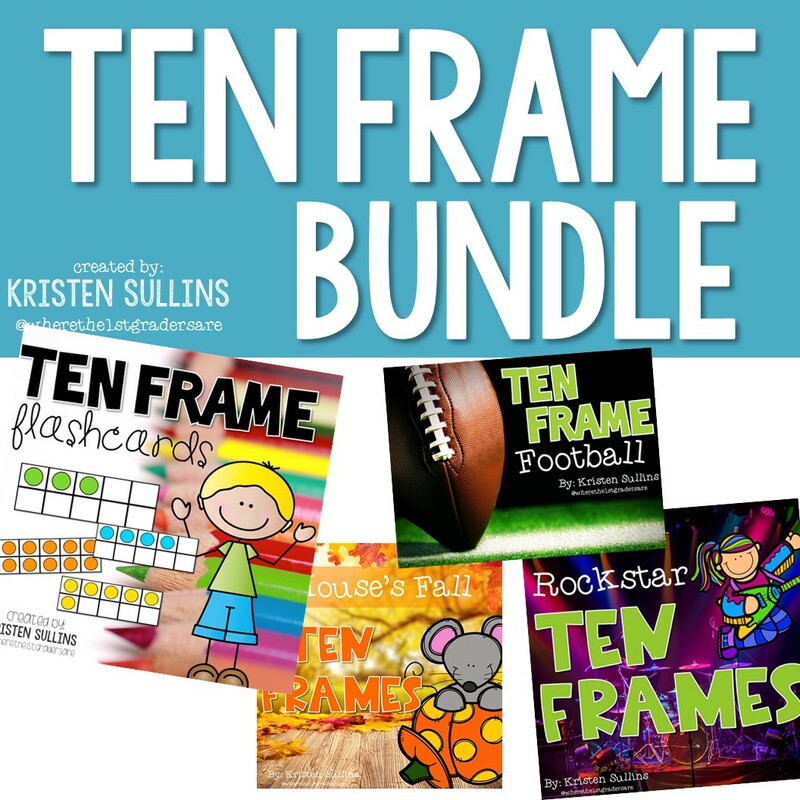 Step 2: Students pick up the sticks and drop them on the floor or on their desk. Step 3: Students sort the sticks into tens and ones. Step 4: Students count the value of the sticks. It should sound like "10, 20, 30, 31, 32", etc. 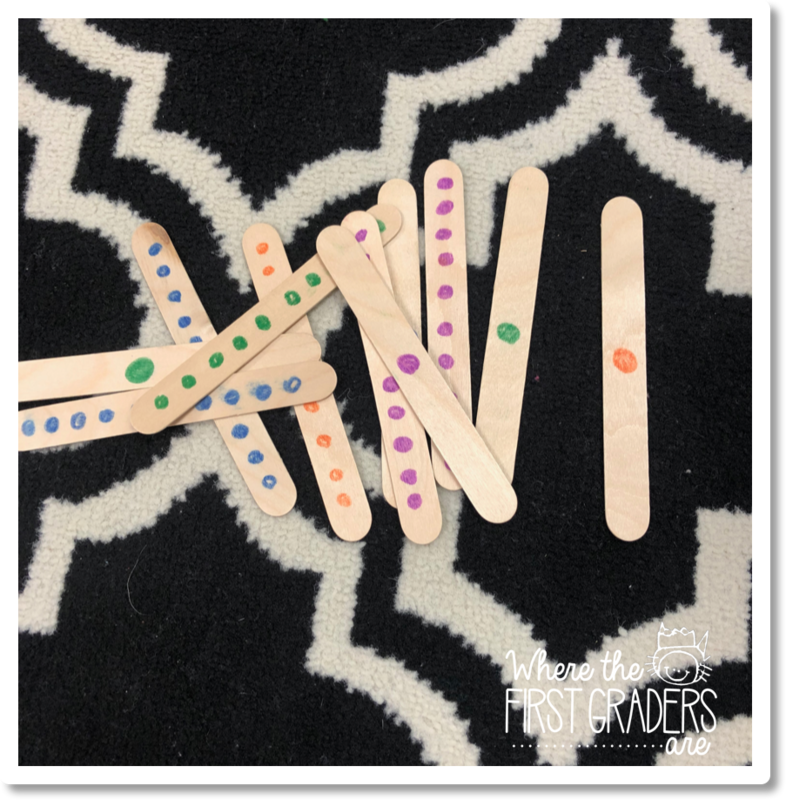 Step 1: Give students 20 popsicle sticks with the numbers 1-20 written at the top. I like to color code mine in groups of five and make one long mark on the stick that "shuts the door". 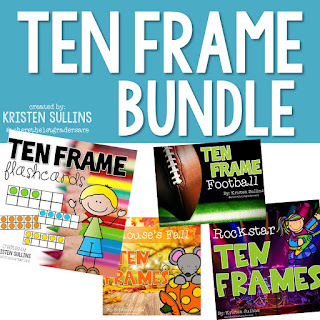 Step 2: Students order the sticks 1-20. Step 3: Students re-group the sticks into tally marks using the chants "1, 2, 3, 4, number 5 shuts the door" and "6, 7, 8, 9, number 10 draws the line". To make these shape puzzles, it is really beneficial to use the colored popsicle sticks but it is not necessary. 2. 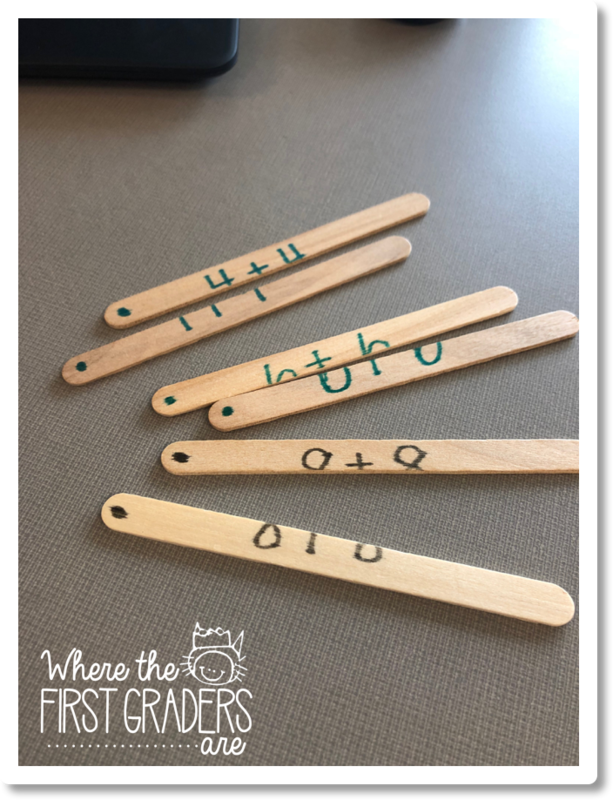 On each stick write the name of the shape, and write the number of sides on both ends of all of the popsicle sticks (example: traingle=write 3 on both ends of all three popsicle sticks). *You may have to cut some sticks in half to make certain shapes like a rectangle. 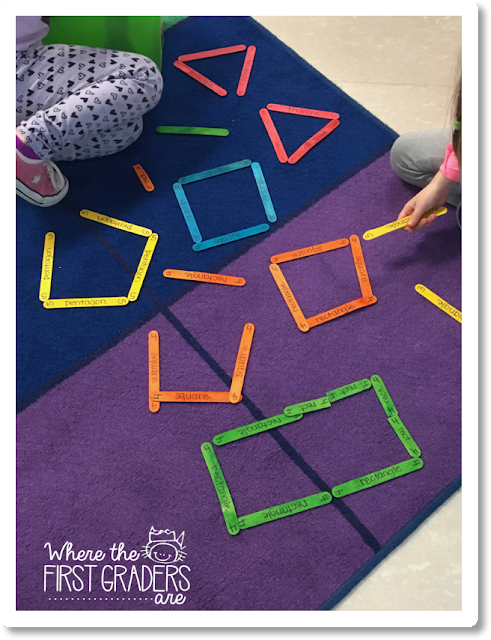 How to Play: Partner One tries to find a popsicle stick that completes their math fact. 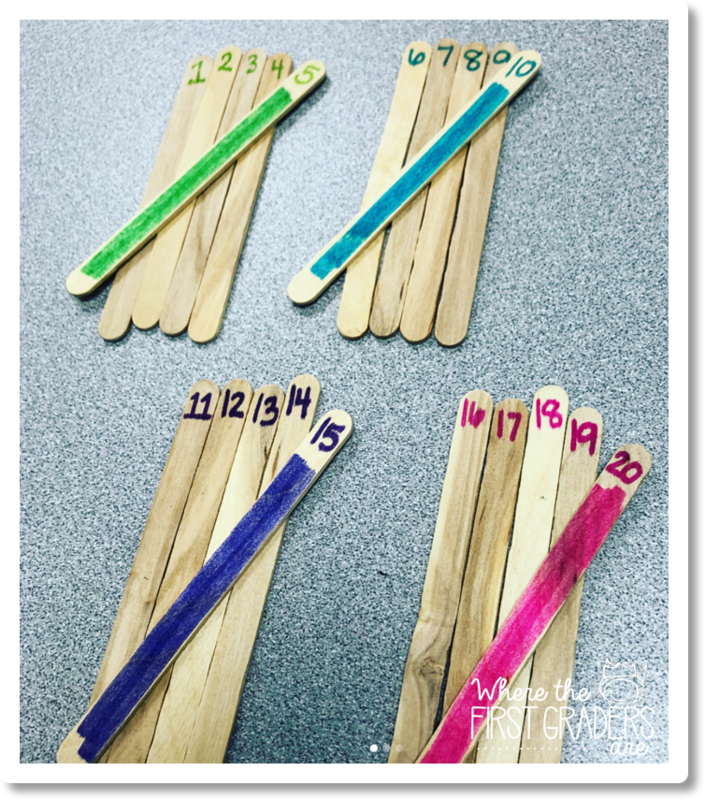 If partner one finds the match and correctly answers the problem, they get to keep the sticks (similar to The Matching Game). 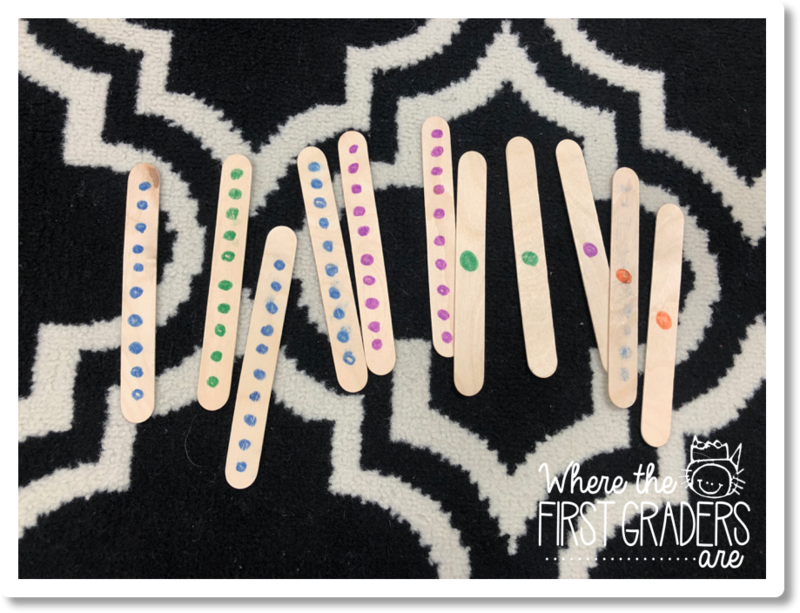 *I put dots on the left side of every stick so they will know if the stick is upside down or not. Want a self-checking option? 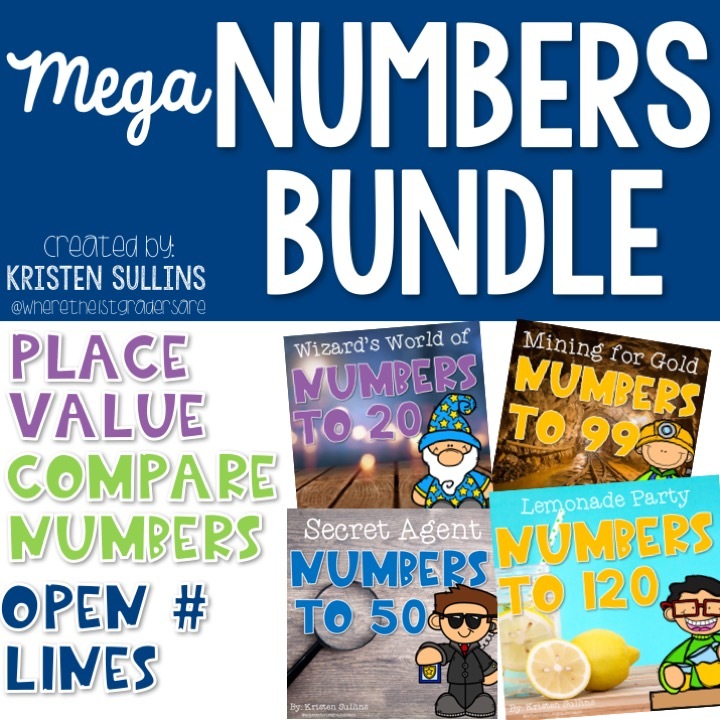 Write the answer to the equation on the back of the sticks.